Ever since Steven Gerrard’s name began being heavily linked with the manager’s job at Ibrox, one player seems to be been mentioned more than any other as being a strong contender to join with him. Liverpool’s Welsh starlet Harry Wilson, currently tearing the English Championship up at Hull City, has been receiving rave reviews from all and sundry, and managed to win Player of the Month while he was at it. 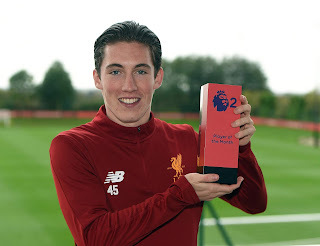 The 21-year old Welsh international, who broke Gareth Bale’s age record debut with the national side is also credited as being Liverpool’s own record breaker, being their youngest senior player ever to manage an senior international cap. Regarded as an ‘atypical’ winger, Wilson is known from starting attacks from much deeper than conventional wingers do, while pressing high against opposition defences – in short, he plays unpredictably and his style makes him hard to combat. He can play especially wide on the touchline using the full width of the pitch to his advantage and naturally this will pull defences out and create space on the other side. It’s really no wonder he’s been lighting up the KCOM this season. With Steven Gerrard now Rangers manager, Rangers fans are putting 2+2 together and hoping this Anfield prodigy is high on the new boss’s agenda. Getting him to Ibrox on loan wouldn’t be easy though, and he probably has every chance of breaking into Liverpool’s first team too – but the lure of Gerrard might be too much if the new boss wants the international team mate of Declan John to come north. It would be a yes from us! Not many posts on this fella, I can assure every last one of U as I have previously said this boy is worth the entry fee alone, if U love a direct winger who knows where the onion bag is, prey for his arrival!! Yess!!! ...The Boy is a Magician!